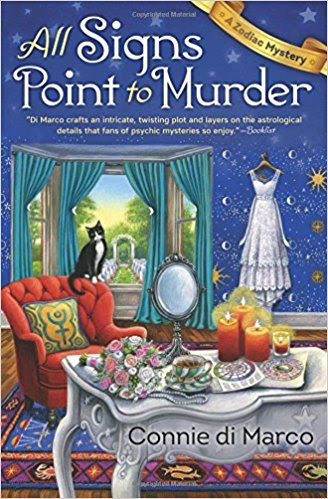 Julia Bonatti is alarmed by the astrological signs looming over Geneva Leary's wedding day, but nobody asked Julia's opinion and being a bridesmaid means supporting the bride no matter what. Even with the foreboding Moon-Mars-Pluto lineup in the heavens, no one's prepared for the catastrophes that strike: a no-show sister, a passed-out wedding planner, and a lethal shooting in the dead of night. With anger and grief threatening to tear the Leary family apart, Julia is determined to understand how such a terrible tragedy could have occurred. 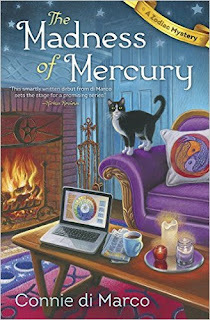 As she digs deeper into the family's secrets, her astrological insights lead her to some rather unexpected conclusions. Astrologer Julia Bonatti never thought her chosen profession would bring danger into her life, but her outspoken advice in her newspaper column, AskZodia, makes her the target of San Francisco’s recently-arrived cult leader, Reverend Roy of the Prophet’s Tabernacle. The followers of the power hungry preacher will stop at nothing to quell the voices of those who would stand in his way and Julia’s at the top of his list. She’s willing to bet the charismatic Reverend is a Mercury-ruled individual, and she knows all too well that Mercury wasn’t just the messenger of the gods, he was a trickster and a liar as well. 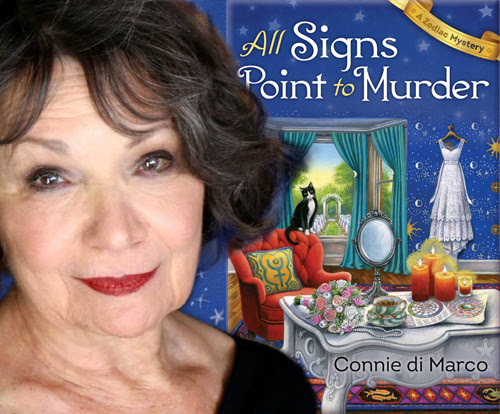 Connie di Marco is the author of the new Zodiac Mystery series from Midnight Ink, featuring San Francisco astrologer Julia Bonatti. Writing as Connie Archer, she is also the author of the national bestselling Soup Lover’s Mysteries from Berkley Prime Crime. Some of her excerpts and recipes can be found in The Cozy Cookbook and The Mystery Writers of America Cookbook. 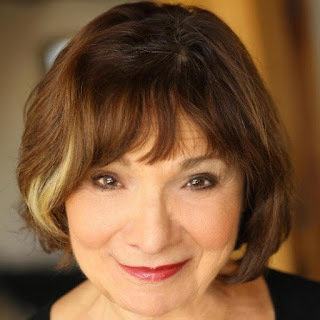 Connie is a member of Mystery Writers of America, International Thriller Writers and Sisters in Crime. She grew up in New England and now lives on the other coast. Hi Nikolina ~ Thanks for following the tour! I hope you get to enjoy Julia's latest adventure soon! Hi Lisa ~ Thanks for stopping by! And best of luck! This sounds like a book I'll enjoy reading! Hi Victoria ~ thanks for visiting today! Best of luck! Oh, great to hear! I hope you enjoy Julia's latest adventures! Hi Connie! I keep thinking that somewhere I read that I was going to be happy because of a romance for Julia. Then I started thinking that maybe I was just dreaming. Is this really happening or is my imagination just going crazy? Hi Kim ~ I know what a romance lover you are!!! We chatted about this too. I wasn't sure if Julia should stay a lone wolf or not. But there is something going on in Book 3 (which I'm calling Tail of the Dragon). I hope you'll enjoy it! Great! So I'm not losing my mind. I feel so much better now. Thank you. LOL! Well I have doubts about myself sometimes, but we did chat about Julia's love life! Hi, thank you for the chance.can't wait to read it. Hi Donamae ~ Great to see you here! I hope you enjoy Julia's latest adventure! Happy reading and good luck!